Get unlimited access to the Gleim EA free demo now! Why is Gleim ea #1? 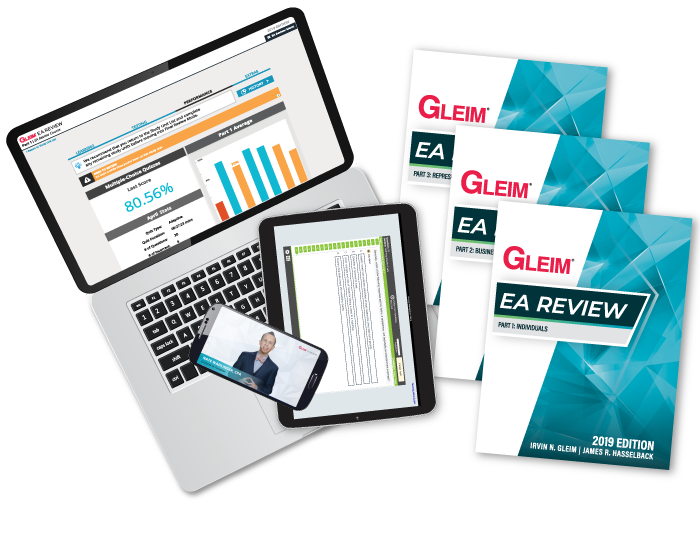 More EAs have used Gleim to pass the EA Exam than any other course or provider! Our Enrolled Agent Exam course integrates all of the available materials into an easy-to-use, 3-step approach so candidates can diagnose weak areas, study from review materials written by professional educators, and apply knowledge through exam-emulating multiple-choice questions. 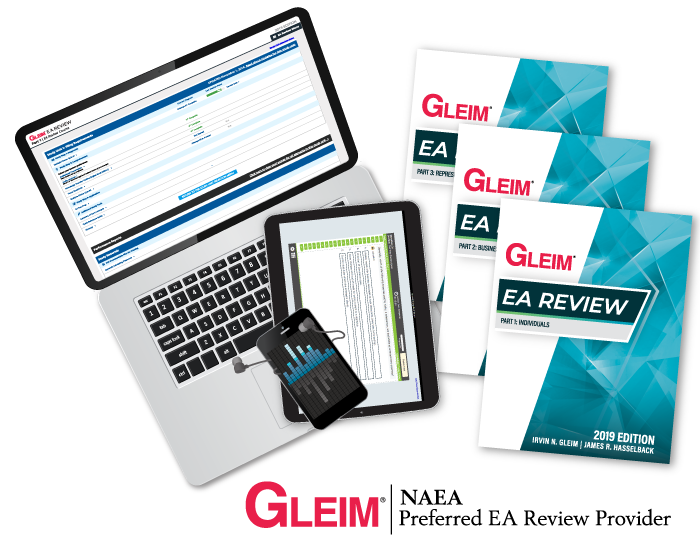 Within our e-learning platform, EA candidates have access to the Gleim Study Planner, which is intuitive, interactive, and works hand-in-hand with the Gleim EA Review course. Specify your time available and when studying is most convenient for you! Customize the level of support and guidance you want from the Gleim team of experts. Track your progress while identifying your strong and weak areas. Access up to 120 free EA exam multiple-choice questions and detailed answer explanations. I believe that I made the right choice in an EA review course. Gleim gave me not only the information I needed to pass all 3 parts on the first attempt, but it gave me the confidence that I could and would pass them. I found that, following the strategy recommended, I knew the material and was ready for each part of the exam. I can’t imagine that I could have accomplished passing all 3 exams without Gleim. The materials given are just what will be tested in the exams. I highly recommend the Gleim system to anyone who wants to become an EA. If you put in the time studying, you will pass using Gleim. It prepares you in a way that I doubt others can. I like they way the material is presented. It keeps topics that can sometimes be boring interesting. My personal counselor was very helpful to me all through my studies. She sent me reminder e-mails, answered my questions promptly when I had a few that came up, and most importantly, she always encouraged me. She was genuinely happy when I told her that I had passed. I have been an educator for over 30 years, and have constructed assessments and prepared students for certifying examinations in another industry. I can state unequivocally, that the Gleim approach is the most comprehensive and beneficial system that can be utilized to pass the EA examination. I implore EA candidates to not underestimate the importance of faithfully utilizing the Gleim system for study. The counselors are dedicated to your success and are determined to help in any way. They truly desire to see you succeed. That should be very refreshing and uplifting to any EA candidate. My Personal Counselor was an extraordinary adviser and was always very prompt in responding to my e-mail questions and need for advice. By the time I took the part 3 EA examination, I was supremely confident in my skills to pass the final assessment. There is no doubt that I will utilize Gleim again for my upcoming EA CPE hours. Thanks again Gleim for assisting me through this successful and rewarding process.